You plan and you plan, and then it’s over in a flash. 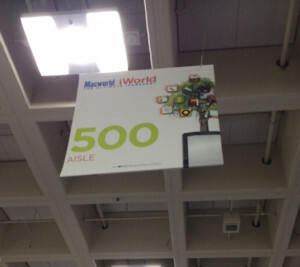 Macworld/iWorld 2014 is now just a fading memory. This was my second year attending the Mecca for Mac enthusiasts. There were a lot less iPhone/iPad cases (though there were some) and a lot more unique and inventive products on display, especially apps. Here are a few that caught my eye. Look for reviews by various writers on MyMac.com in the coming months of some of the products we found at Macworld/iWorld. Noteology is an iPad app that allows users to record or playback video while taking notes at the same time. It integrates with Dropbox and is compatible with Bluetooth keyboards and microphones. Korus is a wireless audio system based on SKAA technology. It’s easy to use and set up, and works with smartphones, tablets, media players, and computers, regardless of platform. Go to Korus’s web site and use the coupon code KorusMacworld2014 for 25% off your purchase. Code is good through 4/30/2014. I sat with the developer of Remo More for about twenty minutes, and the demonstration of what his software can do was just the tip of the iceberg. Manage your entire family’s devices from your iPhone, activate parental controls, clean and optimize your devices, and so much more. Additional features are in the works for later this year. Flashback takes photos and videos simultaneously. Add music, transitions, and/or filters. This is an app I see myself using a lot in the future. 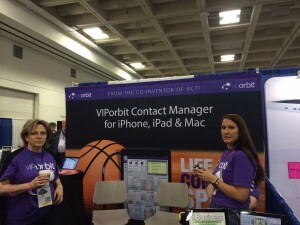 VIP orbit is a contact manager that works with iPhone, iPad, and Mac. It’s so in depth that I can’t do it justice in this short space. You need to go to their web site and see it in action. Neet is a sleeve that comes in various lengths that goes over earbud cords or USB cables to prevent them from tangling. Easy on, easy off, and very flexible. Prong is the creator of PocketPlug, an iPhone case with a built in charger. If you don’t have a charging cable with you when you need it, just plug your PocketPlug into the wall. The plug folds down into the case when not in use. 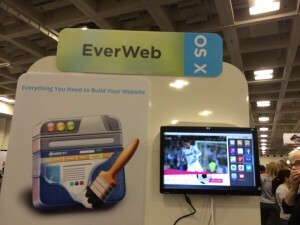 Make a web site with drag and drop simplicity using EverWeb. Begin with one of EverWeb’s templates or create your own. No coding knowledge required.